← 20th Century Super Hero Legends Exhibit at Hollywood Museum Unleashes its Delight on Denizens of Hollywood a Double-Fortnight Following Halloween! “Scotty and the Secret History of Hollywood” (2017, Kino Lorber) Delirious, gossip-laden portrait of nonagenarian Scotty Bowers, who from a gas station at 5777 Hollywood Blvd., is alleged to have provided discreet sexual favors to a galaxy of Golden Age Hollywood actors. 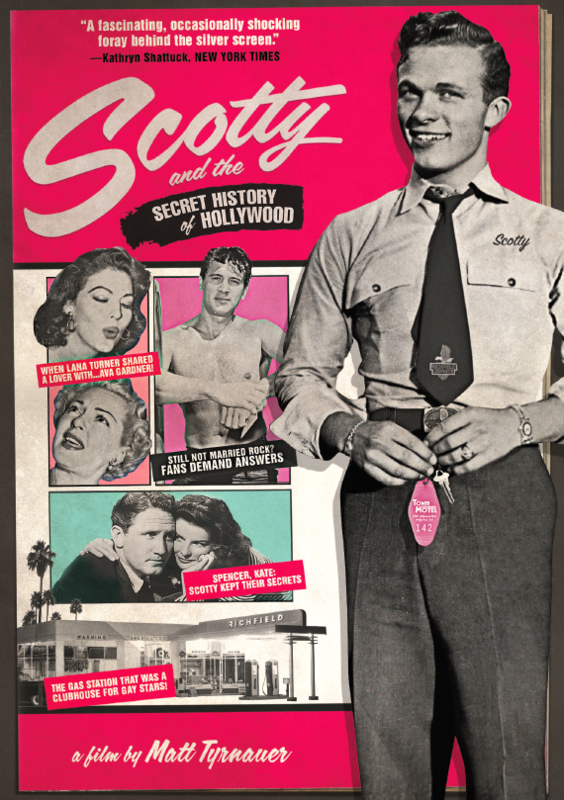 Bowers’ cheery recollections of encounters with Cary Grant, Katharine Hepburn and dozens of major stars from the period suggest a Boccaccio-styled roundelay of closeted gay performers desperate to maintain their polished public veneers while bedding Scotty’s fellow former Marines, much of which appears to be verified by historians and hustlers alike. 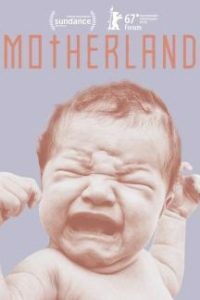 “Hollywood Babylon” devotees will most likely appreciate director Matt Tyrnauer’s efforts, though Scotty’s blithe dismissal of what sounds like horrendous childhood abuse does let some of the rarified air out of its tires. 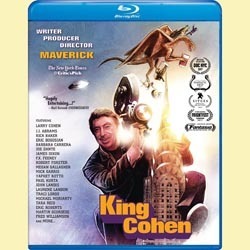 “King Cohen” (2017, La-La Land Entertainment) Lively career overview of the fiercely independent filmmaker Larry Cohen, who oversaw some of the more idiosyncratic horror/science fiction/action films of the ’70s and ’80s, including “Black Caesar,” “It’s Alive!” and “The Stuff.” Cohen himself is front and center, and details his transition from TV scribe (“The Defenders”) to master of his own low-budget genre factory; what distinguished his material was a keen interest in social issues, from racism to religion, that he wove into his creature-steeped, action-packed stories. “King” works best when it lets Cohen and his players and admirers – which include Martin Scorsese, Robert Forster and Eric Bogosian – testify to on-the-fly bravado; La-La Land’s two-disc Blu-ray includes the film’s soundtrack, additional interview footage and a visit with some of his most memorable monsters. 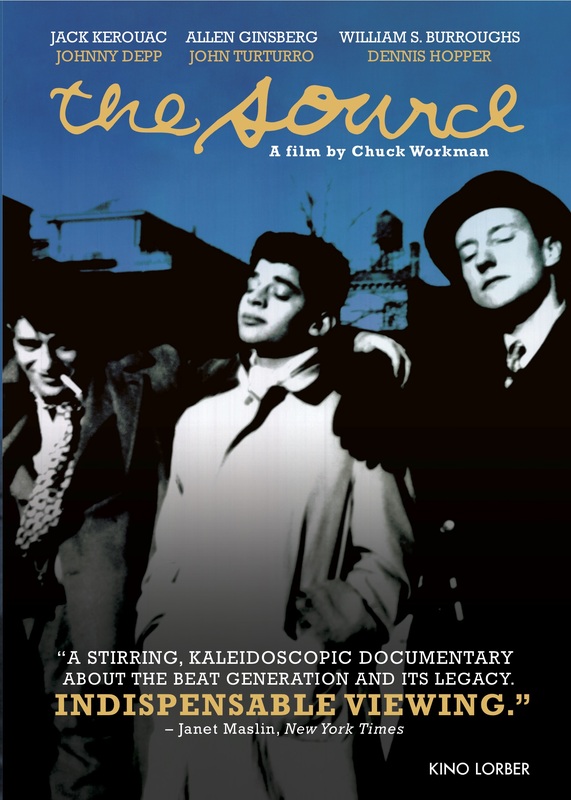 “The Source: The Story of the Beats and the Beat Generation” (1999, Kino Lorber) Detailing the whole of the Beat Generation, from its beginnings and major proponents to its lasting influence, is a tall order for a single documentary, but Chuck Workman (whose montages are the highlight of most Oscar telecasts) does a competent job of boiling down the movement to its essential texts and writers. Much of the heavy lifting is done by Johnny Depp, John Turturro and Dennis Hopper, who read selections from Jack Kerouac, Allen Ginsberg and William Burroughs, respectively; their performances put the Beats’ writing into a living, breathing context and enliven the doc’s mostly surface-level examination of their lives and works. 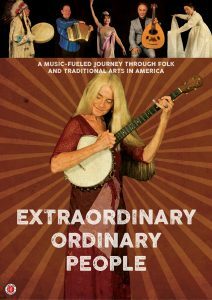 “Extraordinary Ordinary People” (2017, First Run Features) PBS-styled look at the recipients of the National Endowment of the Arts’ National Heritage Fellowship, which recognizes artists whose work falls under the traditional art/Americana umbrella. 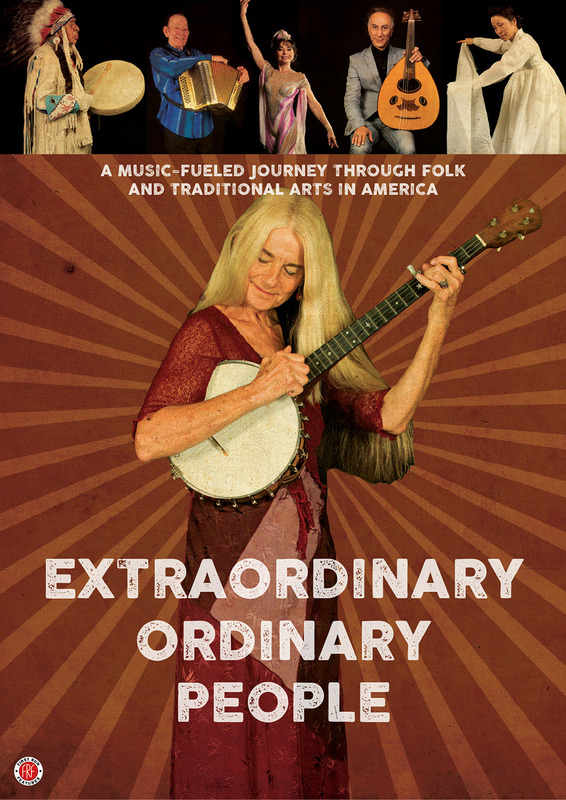 Launched by the family of musicologist Alan Lomax, the fellowships have shone a light on, and more importantly, provided crucial funds to both nationally known figures (B.B. King, Bill Monroe) and those who work in obscurity – shipbuilders, dance instructors, lace-makers and basket-weavers. The doc’s matter-of-fact tone is largely smoothed over by its all-too-timely portrait of a diverse group of creative figures, all hailing from different ethnicities and regions, all creating works of art that are uniquely American. “Motherland” (2017, MVD Visual) Head-first dive into the Fabella Hospital and in particular, its maternity ward, which on average oversees the birth of 60 babies a day – a staggering number for not only the Philippines, where the hospital is located, but also, quite possibly, the entire world. While some docs would focus on the chaos inherent to such an arrangement, director/writer/editor/co-producer Ramona S. Diaz’s film chooses to highlight the tireless efforts of the hospital’s staff to provide healthcare for mothers and newborns alike in the face of rampant poverty, Catholic reluctance towards birth control, and a lack of medical amenities that are a given in most Western hospitals. 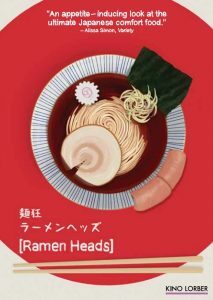 “Ramen Heads” (2016, Kino Lorber) Aiming to evoke the molecular-level obsession that ramen fans have for their chosen dish, this indie doc takes some broad swings at equating the humble (but surprisingly complex) noodle-and-broth meal with a peak aesthetic experience – hence the overuse of triumphant classical music, inflated narration and a rather silly animated explanation of ramen’s conception and history. “Heads” works best when it focuses on chef Osama Tomita, who oversees the top-rated ramen eatery in Japan; the quiet but determined Tomita’s preparation of his meal, which at times takes on alchemical properties, is fascinating, but be forewarned: it may also produce powerful cravings for noodles. “Dogs of Democracy” (2016, MVD Visual) Simple yet effective look at the stray dogs of Athens, Greece – a sizable population both in the city and throughout the country, which I can personally attest to – and the residents that care for them. 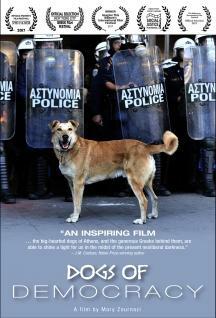 First-time director Dr. Mary Zournazi uses the dogs, and in particular, one photogenic canine named Loukanikos with a miraculous talent for turning up at demonstrations (see cover) as an extended metaphor for Greece’s own economic crisis, which has cast its citizens adrift in the European Union and desperately dependent on the kindness of other nations. As a lesson in resilience and selflessness, “Dogs” makes its case in plain but compelling terms and in less than an hour’s running time – which in itself is a remarkable feat. 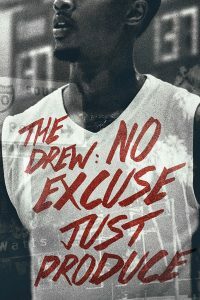 “The Drew: No Excuse, Just Produce” (2015, MVD Visual) Solid sports doc about the Drew League, a youth basketball project in Compton that turned out a stunning number of top professional players over the course of its four-decade run. Directed by former NBA point guard and Drew alum (and current basketball analyst for TNT) Baron Davis, “The Drew” details the program’s rise from the gymnasium at Charles Drew Junior High School to one of the toughest amateur competitions in the nation, as well as the volunteer coaches and directors – including the affable Oris “Dino” Smiley – who nurtured players who often lacked any other form of support. A host of Drew alumni make appearances, including Kobe Bryant and LeBron James, but the real star is the program itself and the men who made it happen. This entry was posted in Movies, Music, News & Sports and tagged FIlmRise, First Run Features, Kino Lorber, La-La Land Entertainment, MVD Visual. Bookmark the permalink.